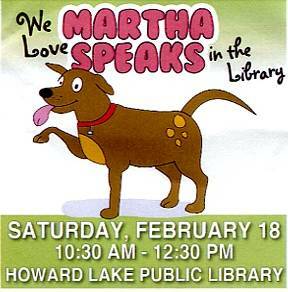 Join us Saturday, February 18 from 10:30 AM to 12:30 PM at the Howard Lake Public Library for a special event to celebrate Martha Speaks and Reading to Dogs in the Library. 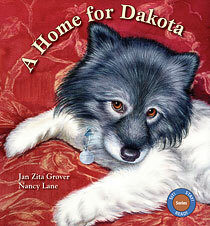 Share a book with your favorite pooch, enjoy crafts and activities, and register for free door prizes! Drawings will be held throughout the event to give away Martha Speaks books and videos. Come share the fun! For ages 4 – 10. Preregistration is not required. No limit. 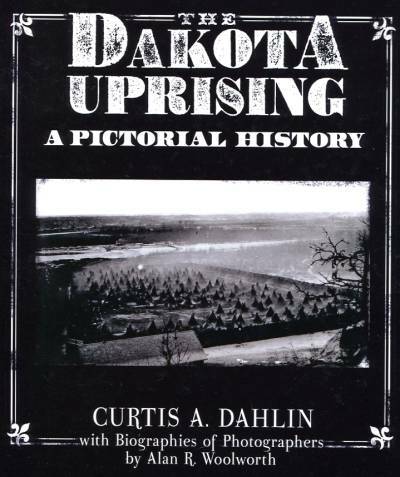 For more information, contact the Howard Lake Library at 320.543.2020. 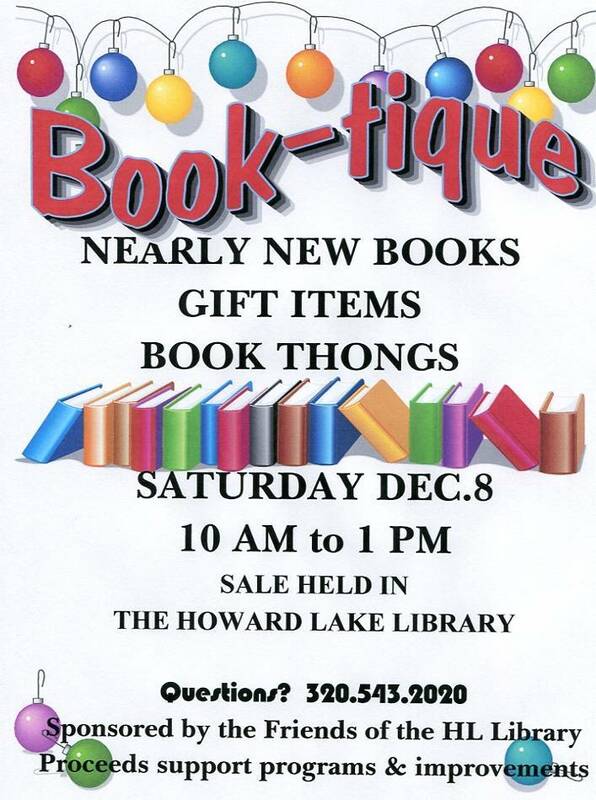 Join the Friends of the Howard Lake Library at their 7th annual Book-tique. One day only: Saturday Dec.10 from 10AM to 1 PM in the Howard Lake Library. Shop for gift quality new and nearly new books, book thongs (beaded bookmarks) and an interesting assortment of gifts items. For more information, contact the library at 320.543.2020. Sale hosted by the Friends of the Howard Lake Library. All proceeds go to support Friends’ projects & programs. Do your holiday shopping with the Friends this year. The Friends of the Howard Lake Library will host a book signing for local authors Ed & Sue Claessen. This event will be held Sunday, November 6th at 2 PM at the St. Mary’s Parish Center in Waverly, MN. 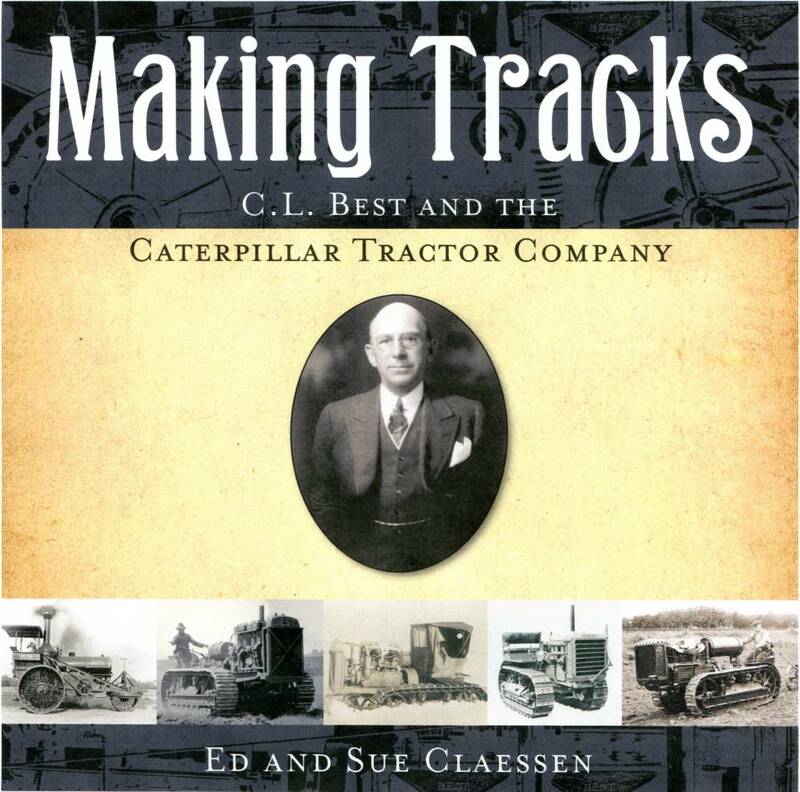 The Claessen’s book, “Making Tracks: C.L. Best and the Caterpillar Tractor Co.” is the result of over five years of effort. Refreshments will be served by the Friends. “Making Tracks” will be available for purchase at the event and the authors will custom sign any copies. It’s that time again. The Friends of the Howard Lake Library will be hosting the Pumpkin Painting event on Saturday, October 22, at the Howard Lake Community Room. There will be two sessions: 9 AM and 10 AM. As this is a popular event, preregistration is recommended by either stopping at the library or calling 320.543.2020. The Friends have kept the price the same as last year–$3 each with a maximum of $10 per family. The painter will receive a pumpkin, paint, cookies and KoolAid and the parents will have a unique hand-painted pumpkin and a paint-free house. Even though the paint is water-based, old painting clothes are suggested. Family and friends are invited to watch the artists at work. Coffee will be available. Put us on your calendar and leave the mess to the Friends this year. It almost here-the 8th annual Book/Food sale. This year’s sale will be held Saturday, June 25, from 9 AM to 1 PM in the Howard Lake Community Room (above the library). There will be something for everyone–books, movies, audio CDs, music CDs and jig saw puzzles. Prices start at 25 cents. The food menu will again feature tasty sloppy joes and strawberry shortcake. From 12:30 PM to 1 PM, pay only $1 and fill one of the Friends bags with books, movies etc. No limit on the number of bags you may purchase. This is the main fundraiser of the year for the Friends of the Howard Lake Library. Matching funds will be available through the generosity of Thrivent. Please stop by to get some fantastic bargains and enjoy good food and fellowship. For more information, you may contact the library at 320.543.2020. Once again, Howard Lake Drug and the Friends of the Library are sponsoring the Big Ice Cream Give-Away from Monday, June 13, through Saturday, June 18. All who register to participate in the Summer Reading program will receive a coupon for a free ice cream cone at the drugstore. Contact the Howard Lake Library for more details.